How Do you Get Reorders at Von Maur? 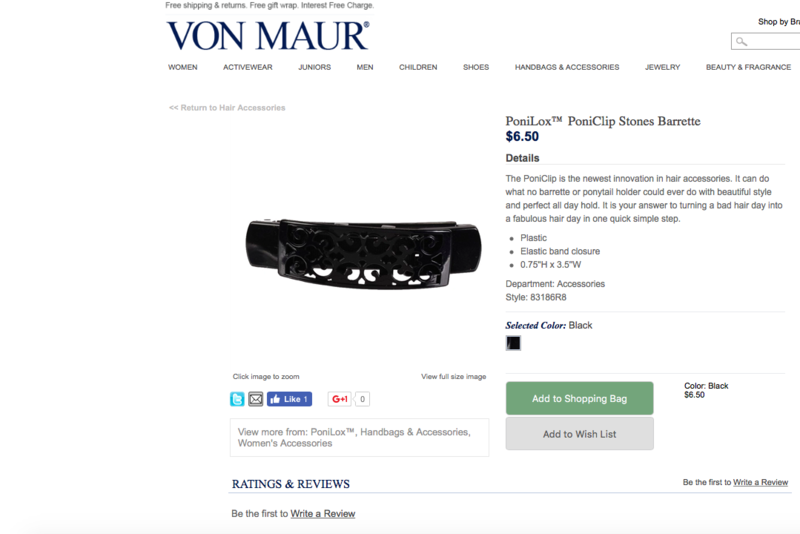 Congratulations to our Client Ponilox for their entry into Von Maur and continued reorders and success! Our Channel Management team loves helping buyers find the perfect product for their stores. The PoniClip is the newest innovation in hair accessories. It can do what no barrette or ponytail holder could ever do with beautiful style and perfect all day hold. It is your answer to turning a bad hair day into a fabulous hair day in one quick simple step.